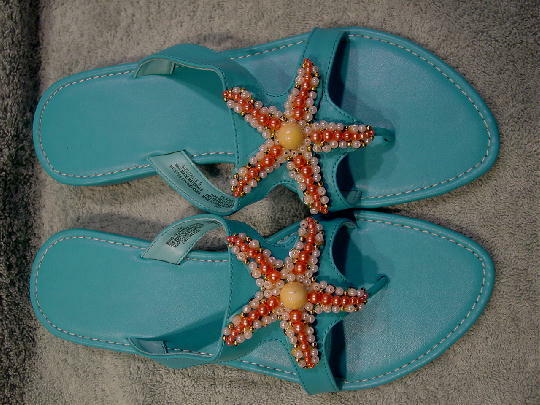 These never-worn turquoise-azure blue thong sandals are made of manmade materials. 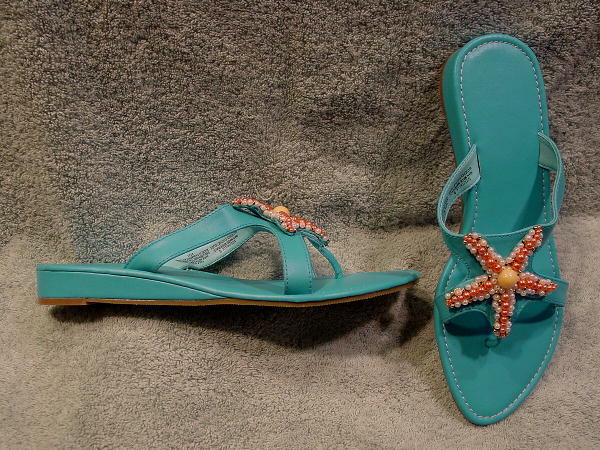 On the center of the straps is a decorative starfish made of faux pearls in white and tangerine-coral and gold-tone beads. In each center is a large yellow bead. The yellow bead on the right sandal has a blue dot on it. You wipe with a dry cloth to clean. The color is more of a deeper turquoise than it appears in the pictures. They're from a Miami model. She got them as a present, but she wears a size 10 1/2 shoe.